Safety of Goods. || Prompt & Efficient Services. || Effective Loading/ Off-Loading Capacity || Release Order Verification. Peace of Mind. || Managing Collateral Movements. || Valuations. || Margin Calls. Air Freight. || Sea Freight. || Cargo Handling/ Documentation. || Agency Services. Insurance. || Tracking Services. || Multi State Operations. || Across Border Haulage. Positioning of Ship. || Vessel Scheduling & Berthing. || Supply of Fenders. || Water Supply to Vessels. Tank Farm Management. || Vessel Surveys. || Damage Inspection. || Pre-Purchase Surveys. Our earnest desire is to extend our services to your firm. Greetings and Warm Welcome to the Aje and Bawora Nigeria Ltd! Aje & Bawora (Nig.) Ltd. was incorporated in 1968 as a freight forward and trading house, but actual operations commenced in 1982. Over the years, the Company has grown in line with the needs of our select clients to cover such areas as Warehouse Management and Haulage. The Management team is fortified with reputable and distinguished persons dedicated to providing clients with very personalized services. 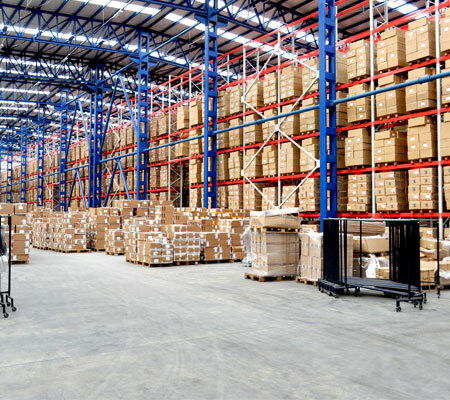 Our main warehouse covers an area of 12,392.25 square meters with three other warehouses within close vicinity. We also have various uncovered land space close to the seaport. Because we operate in a highly competitive service industry where customer satisfaction is paramount, the Company’s focus has always been (and still remains) TOTAL QUALITY SERVICE. Consequent upon this fact, we have over the years developed strategies that provide our clients with prompt and efficient services while guaranteeing the safety of these goods. Our earnest desire is to extend our services to your firm. 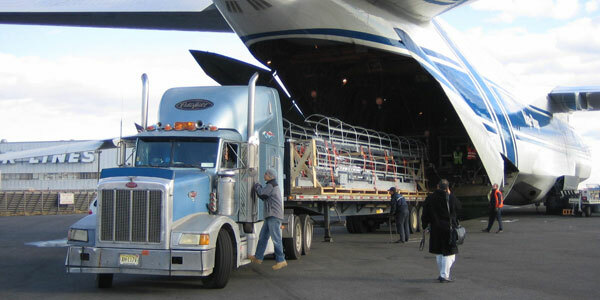 Logistics is defined as the process of planning, implementing and controlling the efficient and cost-effective flow and storage of raw materials, in process inventory, finished goods and related information from the point of origin to the point of consumption, for the purpose of conforming to customer requirements. More simply, it is the science (and art) of ensuring that the right products reach the right place in the right quantity at the right time to satisfy customer demand. It is "the time-related positioning of resource". 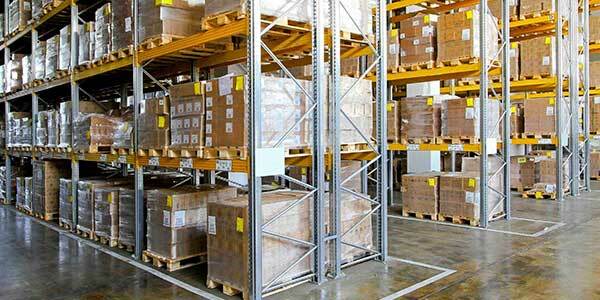 It has also been defined as "the management of inventory in motion and at rest"
The warehouses are all fully automated, which allows us, monitor effectively, our clients’ goods. Similarly, our in-house security system is next to none since our guards are equipped with all manner of security gadgets including CB radios, which allow them, communicate and guard their sites effectively. Moreover, our warehouses are all fully insured against fire and burglary. Over the years, we have perfected a unique system, which ensures that no client spends longer than one hour in loading or off-loading goods. This invaluable service is crucial to our success as well as to the business of our clients. Our staffs are all trained to be courteous, effective and ever willing to assist clients with their requirements. They are all aware that clients expect the very best. We ensure that prompt contact is made with clients whenever we are in doubt as to the signatories contained in any release order. Collateral (Stock) management services has proven to be effective tools used by financial institutions to help reduce risk and facilitate access to credit for their clients. It facilitates for responsible credit risk in an unsecured (and indeed Secured) financial transaction Aje & Bawora brings a wide range of experience and expertise to play in offering this service. Our involvement helps reduce (if not totally eliminates) your bank’s trade exposure and risk. This is achieved by controlling (dual locking) and/or monitoring (Observatory) goods used as collateral. This provides peace of mind as we are responsible if anything goes wrong in the chain. Our firm records all details of the collateralised relationship and ensures that reports are posted within 24 hours and where necessary, immediately. We also provide escorts for transfer of collateral from State to State within Nigeria. We also have the capacity to check quality of stock as well as its compliance with various regulatory rules. Our firm can provide stock valuations on a daily basis and/weekly basis cross checked with market prices for the collaterised goods. Our valuation team has diverse experience and maintain contacts within the markets that can provide instant valuations. We are able to track and notify our clients of these calls as soon as we notice a contraction of the market. We can then take steps to liquidate the collateral of the client’s behalf so as to avoid value erosion. Aje & Bawora Nig Ltd is a certified and licensed clearing/ forwarding company to execute both freight forwarding and custom clearance tasks. Aje and Bawora is well positioned to provide efficient and fast clearance of your cargo through the airports. Proper documentation is the key to an efficient air side operations and our staff have a distinct advantage gathered over years of operations at our various airports nationwide. 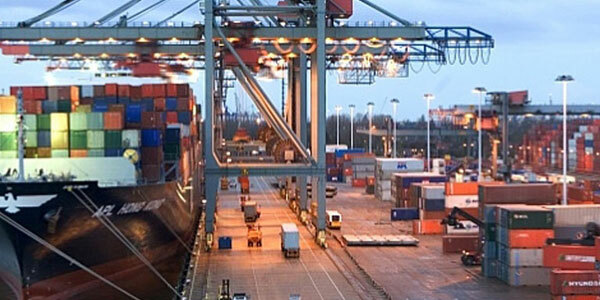 Export and Import, Door to door shipments and Door to port services are some of our hallmarks. Our Sea side operations are capable of handling the most complex inward and outward shipments. Our services cover door to door and port to port services ensuring that your consignments get to the final destination as expected. Our firm has the capacity to negotiate freight rates with the shipping line to cover our clients interest as well as book the cargo with the shipping line. We prepare bills of lading and associated shipping/negotiating documentation. We also provide for the preparation and submission of documentation required to enable and facilitate export/imports; representing client during customs examination, assessment, payment of duty and co taking delivery of cargo from customs after clearance along with documents. We provide agency services such as application for refunds, check and process duty/vat payments. Land freighting of goods across the country is a major challenge in Nigeria since the railways have little or no capacity in this direction. 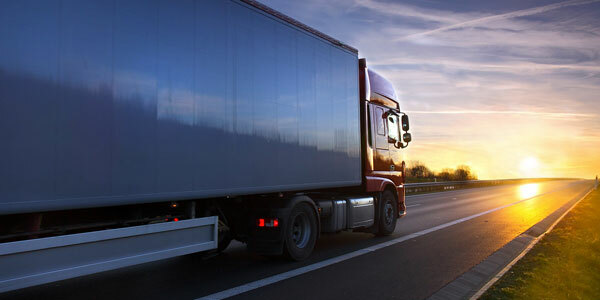 Land freight is the only means through which goods can be transported effectively. Our trucks all have comprehensive insurance cover in the event of accidents and delays. We however, urge clients to also insure goods to the value of their consignment JUST TO BE ABSOLUTEY SURE. Our trucks are tracked 24/7 to ensure prompt and efficient delivery of goods across the Nation. Tracking also allows us control the movement of our trucks and indeed drivers. We have the capacity to operate seamlessly across states in delivery and pick up. Our scheduling system enables us be proactive in pick ups and delivery of cargo. We provide swift and efficient haulage across the Benin Republic border. Our services are registered with the NCS and this allows for smooth operations across all channels including NAFDAC and SON. Providing our clients with the best assistance in ensuring that vessels are positioned for prompt attention. At Aje & Bawora, we always ensure that our clients do not face the berth scheduling problem that so often cost so much in demurrage to the cargo financiers and clients themselves. Our fenders range from cell fenders to cone fenders; from pneumatic fenders to arch fenders. In all of the varied types, our clients are guaranteed swift deployment all over the coastal waterways of Nigeria within hours. Aje & Bawora prides itself in providing one of the best services in the industry supplying Fresh Water to vessels plying the Lagos ports. Quality delivered at competitive rates remains our primary goal. We provide Inspection of the quality and quantity of petroleum products cargoes both onshore and offshore. Deep understanding of the varied complications that exist in the industry provides us with a unique ability to do a transparent job. 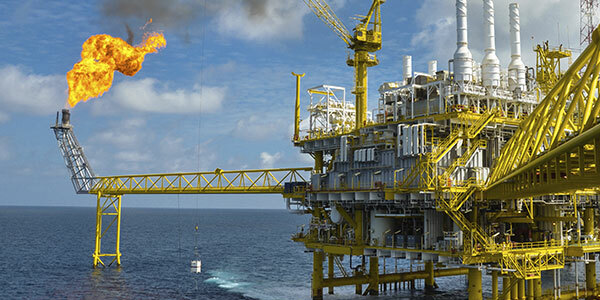 As the fifth largest producer of the Organisation of Petroleum exporting Countries (OPEC) and with plans to double its output by 2010 Nigeria is a high priority market for the oil and gas sector. This is strengthened by the high level of investment needed and anticipated, for both oil and gas sectors to increase the capacity of the country’s refining and petrochemical sector to meet domestic and export requirements. Naturally, on many occasions, such imported PMS and AGO are bank financed. Both Bank and Consignee then require someone with the expertise to provide Logistics. Inspection and Support Services. That is where Aje & Bawora comes into its own. All are handled in strict complaince with the standards set internationally. We provide a detailed inspection of vessels so as to determine its current condition and worthiness. Such services as we provide aim to advice clients and assist them in determining whether a particular vessel is suitable for use in the circumstances been produced and what repairs might be needed. 1. Findings as it relates to circumstances of the loss. 2. Inspection of the damages. 4. Recommendations for the repairs of the damage. 5. Cause of Loss opinion. 6. Consultation with qualified Experts. Our survey covers the classic survey routine for a vessel or boat. It begins with water starts and an inspection in its slip, a “short haul” and bottom cleaning, a hull inspection, re-launching and a short sea trial. In the event that our firm finances the above, such service attracts a charge of 5% interest. Please note that all unstackable goods will attract 45% - 75% sub - charge. The charge varies per Kilo / Tonnage. This price can be adjusted based on the range to weight and quantity of items. All other charges such as terminal / Shipping Charges, Custom Duty Payment, Packing List, Bill of Ladder etc. (All valuable documents) as the case may be will be provided by the Client. Transportation cannot be fixed and price(s) varies based on location. LPG Ship-To- Surface Tank Discharge. Our prices exclude V.A.T. Operations outside Lagos (i.e. Warri, Calabar, Port Harcourt, Cotonou and Lome Offshore) attract additional sum of Fifty Thousand Naira Only (N50,000.00) per operation. Aje & Bawora Nigeria Ltd - We'll Carry the World for you! Our main warehouse is strategically located off the easily accessible Eric Moore Road in Surulere. You can reach us via Bode Thomas/Adeniran Ogunsanya Street; Orile Iganmu Axis and the Apapa/Costain Axis. Moreover, our location affords our clients easy passage due to the low volume of traffic. Our main warehouse is strategically located off the easily accessible Eric Moore Road in Surulere. You can reach us via Bode Thomas/Adeniran Ogunsanya Street; Orile Iganmu Axis and the Apapa/Costain Axis. Moreover, our location affords our clients easy passage due to the low volume of traffic. Copyright © 2016. Aje and Bawora Nigeria Ltd. All Rights Reserved.